Email is a powerful tool for lead generation. In fact, it’s still the reigning champion among digital marketing channels. Whether you’re a major enterprise or a small business, email is a marketing platform you shouldn’t ignore. 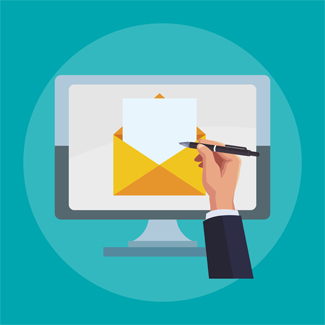 There are plenty of free email providers that are ideal for businesses who have just begun to explore inbound email marketing and don’t yet have many subscribers. It becomes much more challenging when you want to scale your inbound email efforts – or if you want to take advantage of the sheer lead generation potential of outbound email. Email marketing software platforms often have free plans that allow you to send a certain number of emails at once, or limit your list size. What happens when your subscriber list exceeds that number? The same problem exists for email services like Gmail and Outlook. Traditional ISPs limit the amount of emails you can send per day, and if your subscriber list exceeds that number, you’re stuck. If your list is too large, you won’t even be able to upload it. The reason for this is that they share IP addresses and domains across their users. If one person sent out a mass email blast that resulted in them being blacklisted, it would negatively impact other users as well. To prevent this, you simply can’t upload lists above a given size. So what do you do if you want to aggressively scale your email lead generation? When it comes to email lead generation, outbound is king. Inbound marketing is powerful and certainly an important methodology, but it simply can’t compare to the volume of leads outbound email can generate for you, and at a faster rate. You need to think bigger than with inbound. You might reach hundreds or even a few thousand subscribers through inbound. With outbound, you can contact an audience of hundreds of thousands. You can reach a virtually unlimited number of contacts. To do so, you need to be able to send unlimited emails. There are a multitude of inbound email solutions available, but they aren’t well suited to outbound. When you need to send a large amount of emails regularly, you can’t use a platform that caps your list size or send volume. There are quite a few important factors that determine how successful your cold email campaigns are, and which platform you use is a major one. That’s where Clickback MAIL comes in. It’s email marketing software designed specifically to maximize the performance of cold email campaigns. Not only can you send unlimited emails, there’s no cap on the size of your email list. The second major factor in the outcome of your campaigns is the quality of your list. This is not something to cut corners on – the emails your sending to will make or break your success with your current and future campaigns. The reason for this is that if your email list isn’t from a reputable source – and hasn’t been checked and verified again – it could contain bad addresses and spam traps. Sending to these is the quickest way to damage your sender score and even get blacklisted. Once you’ve been blacklisted, you’ll find it extremely difficult to send email campaigns. So first ensure that your list is from a reputable data provider. If you don’t know where to look, check out Where to Purchase an Email List. Once you have a new, large list of B2B contacts, you should have it verified. There are third-party companies who offer this service, which filters out bad data and spam traps. However, if you’re using Clickback MAIL, this service is built into the software. When you upload a list of contacts, it performs rigorous hygiene and verification checks automatically to remove any bad data, spam traps, honeypots, and other addresses that could negatively impact your deliverability. It’s packed with features designed to help you ensure your campaigns hit the inbox. Want to see how it works? You can book a 1-on-1 walkthrough of the software with one of our experts. Now that your list has been uploaded and verified and is ready to go, the next step is to create the actual email. When it comes to cold email, though, there’s more to consider than with inbound. There are many technical considerations when you’re designing a cold email that can help you avoid landing in the spam folder. The main one is whether your content looks like spam. Think about typical spam emails. They’re often filled with all-caps text, bright colored fonts, and excessive punctuation. “Free!! !” and “BUY NOW!! !” for example, look like typical spam content. If you use that sort of style, spam filters will pick up on it and be more likely to toss your message in the spam folder. To get around this, spammers historically have tried placing their offers, text and all, within an image. If your email contains a large image and little text, it will likewise look like spam. These are just a few examples – there are many formatting and messaging choices that could make spam filters look skeptically on your emails. Clickback MAIL covers that for you, too. As you’re creating your email, the editor’s built-in content checker will notify you of any words, phrases, images, links, and formatting that could hinder your deliverability. All of this pertains to getting your email to the inbox. Getting it there is crucial, but once it’s there, it still needs to be compelling if you want it to generate leads. Your subject line is just as important as your body content, if not more. You have a fairly small character count to work with, and you need to convince the recipient that your email is worth opening. Remember that typical spammy content we mentioned earlier? Avoid that in your subject line as well. Here’s a powerful quick tip for writing awesome cold email content: don’t push. Many cold email marketers make the mistake of trying to push recipients straight down the funnel all at once. Think of your cold email as a gateway to your inbound nurturing campaigns. If you try to push a demo right off the bat – or even worse, a sale – you’ll come across as pushy. Not only does this lose the reader’s interest, it can easily get your email reported as spam. Too many spam complaints and – you guessed it – you end up blacklisted. Use your cold emails to bring new leads into your nurturing campaigns. It’s not as quick as going right for the sale, but it’s much more palatable to the recipients. If you want to push for quicker conversions with a large list, you need to make your emails as personalized as you can. Pick as narrow a target as you can for your list. This lets you be confident that you know as much about the recipients’ business needs as possible. Here are two approaches for you to try out. My name is X, and I’m a tech writer. Managing documentation can be a real challenge – especially as the products evolve. Wouldn’t it be great if you could keep your documentation organized with no hassle? That’s what [Product] does best. Just put in the version and product for each page and it bundles everything together for you automatically. Plus, you can export to any format you need. Give it a shot – download a free demo here! This example is a bit simplified, but it illustrates the concept: show them that you understand a problem that they, specifically, are experiencing. Give them an idea for a solution, and then hand them that solution. Note the personalization of their first name in the copy, and more importantly their company name in the subject line. Hi [First Name], I just wanted to shoot you a message and introduce you to [Product]. It’s a new tool designed to help tech writers keep their documentation untangled. It’ll keep your docs organized by product and version, and let you spend less time organizing and more time doing what you do best – writing awesome docs. Try it for free here, or shoot me a message if you have any questions. That’s a short, punchy email that gets straight to the point. It follows the same basic idea as the other approach, but instead of explicitly pointing out the challenge, it just declares the problem solved. It’s also slightly less formal in layout and language, which might be more or less effective depending on your audience. Once your email has hit the inbox, been opened and clicked, you’re in the home stretch. Your calls-to-action should send the prospect right to a spectacular landing page designed to convert. A clean, easy-to-read design goes a long way. Your main goal is to make it as easy as possible for the visitor to convert. Every element on your page should work towards that goal. No distractions – avoid having popups, other ads, and too much text. Include all the information you need to convince your visitor to convert, and nothing extra. Pay particular attention to the area above the fold, keeping it eye-catching. Use trust signals like testimonials to communicate to your visitor that your brand is trustworthy. If you have glowing reviews from customers, include them on your landing page. They’ll also help communicate value, and reassure readers that it’s worth their time (or money). These days, over 45% of all web traffic is mobile. Having a mobile-friendly website design is an absolute must, and that goes for your landing pages as well. If your page is well-optimized for mobile, it will perform better. Keep your forms as short as possible. The less you’re asking for, the more likely they’ll give it to you. If your desired conversion requires a form, only ask for the essentials that you really need. If there’s more data you’d like to have, try asking for it on your thank-you page. Message-match your landing pages. This is a big one; if your landing page doesn’t match up with the messaging wherever they clicked, they can get confused and bounce. When there’s consistent language and key phrases, visitors are reassured that they’re on the right path. Test everything. 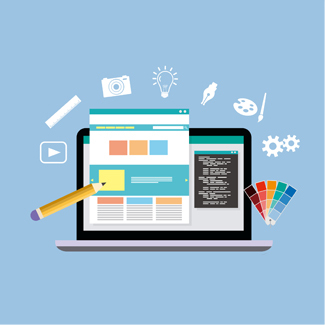 Don’t just create a landing page and then forget about it. Collect as much user experience data as you can and use that to continually optimize your landing page. If a different headline bumps up your conversion rate a bit, use that one instead. If more people are filling out a form you’ve shortened, use that instead too. This way you can consistently build up your conversion rate. Here’s a list of related articles to help you develop your email lead generation even more. Ready to take your lead generation to the next level? Get a free 1-on-1 demo of Clickback MAIL today.